Welcome to Dinkums Ink, our online portal where you can purchase a huge range of ink & toner cartridges, printer consumables & hardware components and even printers and other office equipment. All the big brands are there - HP, Canon, Epson, Xerox, Panasonic, Samsung and more - and at great prices. As well as Ink and toner cartridges, you'll find other printer consumables such as drum units, waste cartridges and ribbons. Then there's the hardware range - printers, fax machines, scanners, label makers, cameras, calculators... and the list goes on! In fact, with over 15,000 line items, we're bound to have what you're looking for! And with the added convenience of online shopping, just choose what you need and your product will be delivered directly to you, usually withing 24 hours. We apologise for any inconvenience, but our online platform is getting some fine tuning done at the moment and is temporarily unavailable. 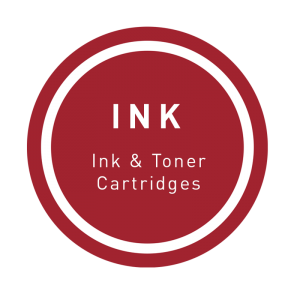 If you require ink and toner or other print consumables urgently, we still have access to large range of product but will need to process things the old fashioned way. Please call us or email us at dinkums@dinkums.com.au with the relevant details and we'll confirm pricing and process, as necessary, straight away!